If you like sweet and sour desserts, this lemon yogurt plum cake is for you! A moist, sweet lemon cake is topped with fresh tangy plum slices. This cake freezes well, so it is a great make-ahead dessert. Go ahead and try it with your coffee or tea for breakfast, or save it for dessert. 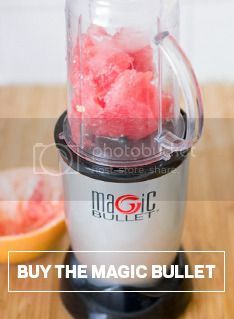 Combine all ingredients in a Magic Bullet pitcher, except for the plums. Add the wet ingredients first, and stir with a spatula occasionally to ensure fully blended. Pour into an 8×8 greased baking pan and top with sliced plums. It was yummy. The only yogurt I had was coconut, It took less time as I have a convention oven now. Lucky I had just enough of coconut oil !!!!! I’ve made something similar but like this receipe better. It’s amazing what alot of people are doing now. I have had my bullet for yrs then upgraded. Yet still use this one like in the tall cup my gravies and ofcourse whipped cream. Nice job on your receipes..